This small gated community was incorporated in January of 2009 and consists of 94 townhomes with the last homes completed in 2015. They are located just off of Highway 290 at Jones Road in Houston, Texas. In June 2013 the property owners took majority control of the associations Board of Directors. The Resident Board of Directors began the process of getting the pool and spa completed and ready for the residents use. After this lengthy process the pool and spa were opened in October 2015. The residents of this community enjoy the low maintenance living that this gated townhouse association offers. The association maintains all front yard landscaping, fencing, streets, and building exteriors such as painting, roof and general maintenance. The Board is actively identifying buildings that need minor repair and painting. They have also started replacing the older fencing and gates throughout the community. In June of 2014, C.I.A. Services staff met with the full Board of Directors to review contracts, policies and procedures and transitioning of documents from the developer to the association which led to the Board signing a full service management contract with C.I.A. Services. We are very proud to be their management partner and look forward to many years of a wonderful working relationship with the association. 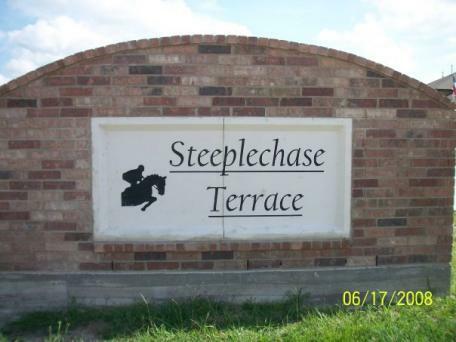 Congratulations to the Board members and volunteers of Steeple Chase Terrace for all the hard work you do to make your community one of the best in Houston!